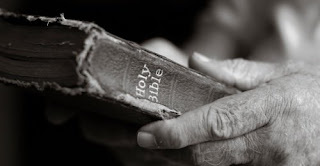 Kurt Michaelson: How much do you love reading your Bible? How much do you love reading your Bible? 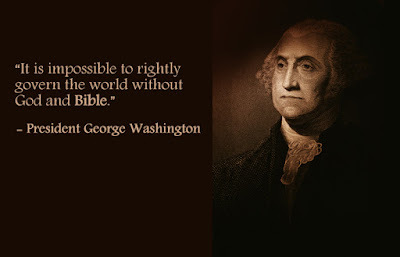 I've been a Christian for 18 or 19 years now and I can recall early on in my walk with Christ that reading the Bible was definitely encouraged to me, but I had only read portions of it, from time to time. I remember making a commitment to read through the Bible from Genesis to Revelation, but somewhere along the way, as I missed a day or two, then a week or more, then several weeks, I never tried to restart what I wanted to finish. This post isn't about the benefits of following a bible reading plan, but rather it's about the pleasure of reading the Bible every day. One of the easiest things a person can do, as a starter, is to read 1 chapter of Proverbs with the corresponding date every morning. For example, today is June 24th and you would read Proverbs 24. For June 25th, Proverbs 25 and so on. If a person followed that format of reading Proverbs, it would be read 12 times throughout the year. 1 chapter a day, 30 chapters each month and you'd read Proverbs 31 still, on the 30th day. But each day, we should take some time to read the Word of God and even to set a goal for ourselves to read through the entire Bible, from Genesis to Revelation. Thankfully, reading the Bible should be like enjoying a good meal. No one sits down to gorge themselves with a 20oz Porterhouse steak, mashed sweet potatoes, carrots and a delicious strawberry cheesecake. All of that does sound good, doesn't it? I'm getting hungry. But I digress. How much of Scripture do you take in daily? How much do you consider it to be an important part of your life and why? I found these quotes of various people who simply loved reading the Bible and each of these people listed here just kept consistent with their reading of God's Holy Word. It's as important as breathing because you cannot live without oxygen. It's as important as the blood in your veins because you cannot live without blood circulating throughout your body, to the heart especially to help keep you alive and reading the Bible must become that important to each believer as well. There is a quote by Charles Spurgeon where he said, "A Bible that's falling apart usually belongs to someone who isn't." 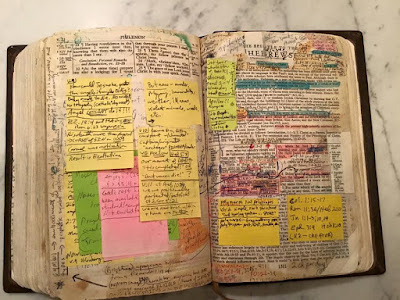 It would be better to have a worn out bible through diligent and voracious reading and note scribbled throughout, than to have our lives worn out by worrying about the things we cannot control. 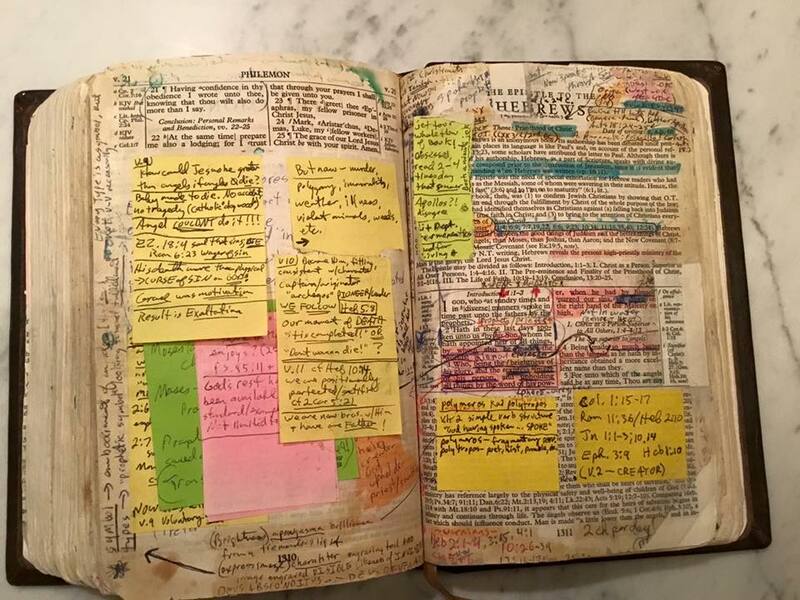 “I have myself for many years made it a practice to read through the Bible once every year. I have always endeavored to read it with the same spirit and temper of mind which I now recommend to you; that is, with the intention and desire that it contribute to my advancement in wisdom and virtue … My custom is, to read four or five chapters every morning, immediately after rising from my bed. It employs about an hour of my time, and seems to me the most suitable manner of beginning the day.” – President John Adams in a letter to his son. This list is found posted at The Center for Biblical Studies and linked here. I have also held my Bible like a teddy bear. Harking back to when I was a baby, I have cradled my Bible and fell asleep with it. Most of the time this happened during worrisome or negative periods. Sometimes I went to sleep holding my Bible just because I was happy and grateful to the Lord. I have also, on occasion, hugged my Bible while I was awake because I can't physically hug God, so this was the closest physical thing, LOL.